Jaspal Sandhu Reviewed by Suki S. on We especially love Jas Sandhu's ability to relax and calm his patients - he is comical and witty, but remains professional and does a fantastic job! WHAT OUR CARE PLAN DOES FOR YOU. Our care plan offers a simple and flexible way to pay for your dental care. In return for a low monthly payment, we provide you with a fully inclusive programme of maintenance, prevention and treatment. How much do I save each year, compared to Pay as You Go? Prices correct as of January 2018 based on equivalent visits, annual pay as you go fees. Join in person when you visit the practice, or over the phone in 2 minutes. Please ask one of our team for more information. 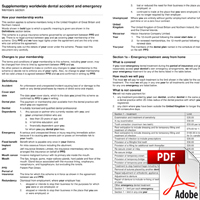 ** What is the Worldwide Dental Accident & Emergency cover? * Items not subject to discount are: Endo files, Laboratory fees, Orthodontics and Implants. 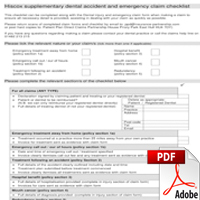 ** For full terms and conditions please refer to the supplementary Dental and Accident and Emergency Insurance policy available from us. Finance available to UK residents aged 18 and above. Credit subject to status. High Street Dental Practice (FRN: 681807) is an Appointed Representative of Chrysalis Finance Limited which is authorised by the Financial Conduct Authority to carry out the regulated activity of credit broking. To read Frequently Asked Questions about finance - Click Here.